More than 150 years after the publication of Charles R. Darwin's The Origin, the identification of the processes governing the emergence of novel species remains a fundamental question to biology. How is it possible that two or more biological entities – species – can emerge from one entity, and continue to be distinct even when coexisting in nature? What are the external factors and environmental conditions that promote this process? What are the molecular mechanisms that underlie it? And why is diversity so unequally distributed across the tree of life, with some groups of organisms having diversified in a seemingly explosive manner, while others have remained virtually unvaried over millions of years? The research of the Salzburger Lab focuses on exactly these questions. More specifically, we are interested in the question of how variation in the DNA translates into organismal diversity and in the identification of the patterns and molecular mechanisms that underlie adaptation, evolutionary innovation, and diversification. The main model systems in our lab are the adaptive radiations of cichlid fishes in East Africa, of Antarctic notothenioid fishes, and of three-spine sticklebacks. 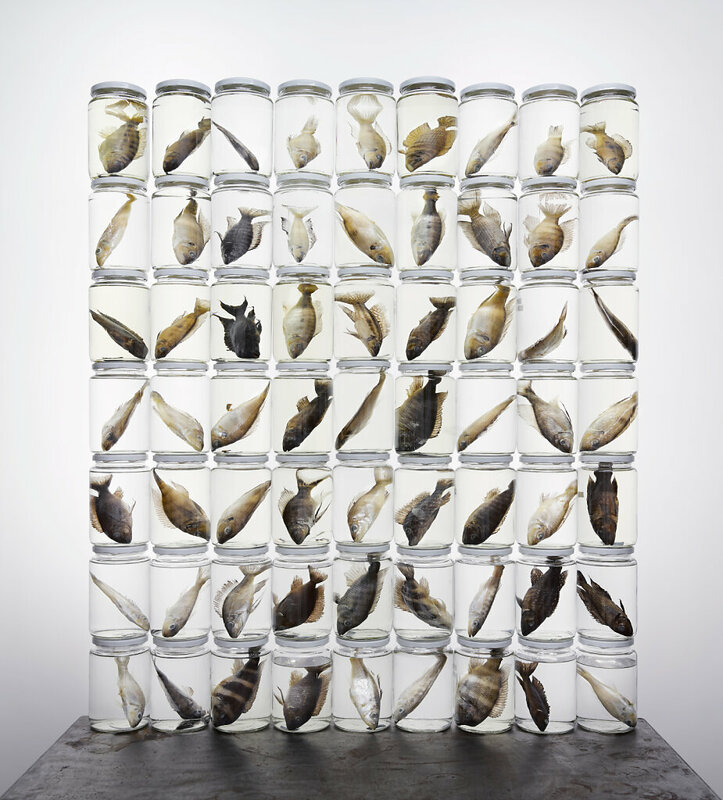 Large scale photograph of fish collected in East Africa, shot at the Salzburger Lab in Basel.